Remember the super delicious Tuscan wedding soup that I created last month? Well, Mr. FvF liked it so much that I made it again already. We didn't have anyone over to share it with when I made it Monday, so it yielded a good 2-3 bowls of leftovers to be had later in the week. I decided to pull a Billiam (a friend of mine who is terribly artistic when it comes to recreating leftovers) and turn it into yet another soup. I wish I could take credit for the name, but that one was all Mr. FvF. After a good while spent scouring the webbernets, I was disappointed to see that no one had advice on turning a broth-based soup into a cream-based soup. 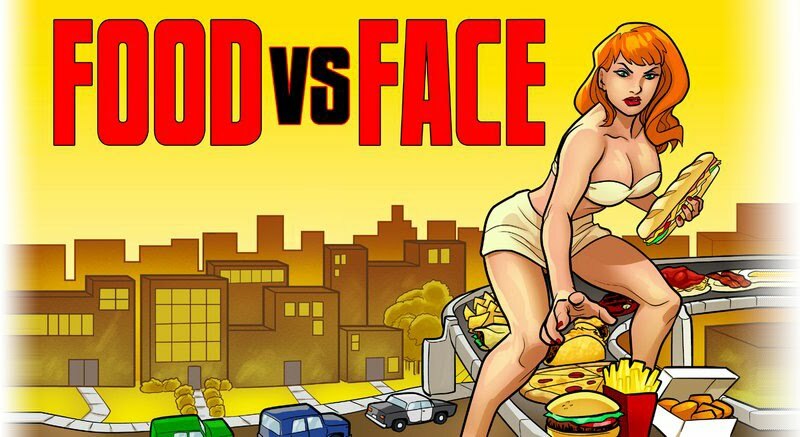 Don't worry your pretty little head, because your good pal Food vs. Face does! The leftovers will soak up a lot of the chicken broth in the fridge, so you'll need one more can. Dump the soup into a Dutch oven or stock pot, turn the head to about medium-low and start reheating, adding about 3/4 of the can of broth. Add about 1/4 cup heavy cream to the soup as well. In a sauce pan, boil a couple of coarsely diced red potatoes until fork tender. In another sauce pan, bring the remaining 1/4 can of broth and about 3/4 cup of heavy cream to a low boil. Sift a couple tablespoons (3-4ish) of A/P flour into the mix and begin whisking. Add about 1/2 cup of shredded cheese (I used a softer parm and mozzarella mix) and keep whisking. Continue cooking until the consistency resembles that of a cream-based soup you'd buy in the store. You can add more cream or flour (and maybe some butter) to thin or thicken the roux. Make sure all of the lumps are out! Drain the diced potatoes and add to the soup, then add the roux that you've made. Turn the heat to low on the soup and stir until everything is combined well. 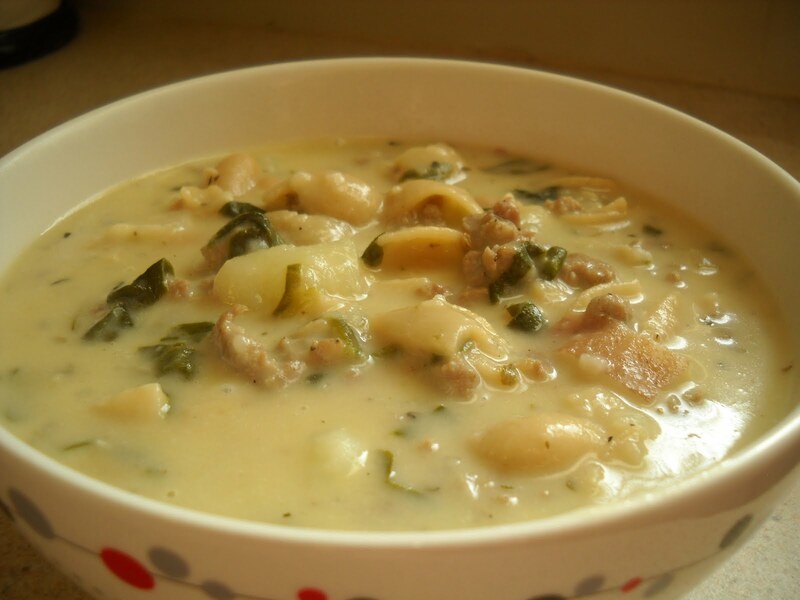 This is very, very similar to Olive Garden's Zuppa Toscana soup, except it tastes good and isn't served to you by someone working on their GED who pronounces "merlot" phonetically. Simple Suppers: Chicken Fried Steak!